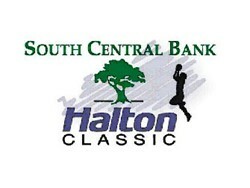 The annual South Central Bank-Halton Classic (SCBHC) will feature eight boys’ teams and four girls’ teams competing December 27-29, 2018 at Allen County-Scottsville High School in Scottsville Kentucky. The eight-team boys’ tournament begins on Thursday, December 27 at 11 a.m. when the Franklin-Simpson Wildcats (7-23 last year) battle the Owensboro Catholic Aces (23-10). The Wildcats are rebuilding under veteran coach Dee Spencer. The Aces---under the direction of Tim Riley---will look to return to the state tournament this year after losing in the Region 3 finals last March. The second game of the first day at 12:45 will have the Henderson County Colonels (15-14) pitted against the Greenwood Gators (16-15). The Colonels were a Region 2 semifinalist in 2018 while the Gators were eliminated in the District 14 tournament. Lower bracket action on the first day starts at 2:30 p.m. and pits a pair of 19-game winners from last season. The Todd County Central Rebels (19-13) plays the Daviess County Panthers (19-11). The Rebels recorded their first winning season since 2004 and were a surprise Region 4 semifinalist last March. The Panthers just missed the 20-win mark after falling to Owensboro Catholic in the first round of the District 9 tournament. The final game of the opening round will see the Allen County-Scottsville Patriots (9-19) facing the Lexington Sayre Spartans (13-17). The Patriots will be under the direction of first-year coach Brad Bonds. The Spartans are seeking improvement from last year’s 13-win total. The boys format will see consolation bracket games at 11 a.m. and 12:45 p.m. and semifinal games at 6 and 7:45 on Friday, December 28. Seventh, fifth, and third place games will be played at 11 a.m., 12:45 p.m. and 6:00 p.m. on Saturday, December 29. The boys’ championship is scheduled for 7:45 p.m. on Saturday, December 29. The girls side of the SCBHC will see four teams that averaged 20 wins last season engaged in three-days of round-robin matchups. Thursday’s games will have Logan County (22-11) playing Covington Holmes (21-8) at 4:15 p.m. and AC-S (18-12) against Nelson County (19-14) in the 7:45 p.m. game. Friday, Nelson County will meet Holmes at 2:30 followed by Logan County and AC-S at 4:15. Saturday’s game see Logan County battling Nelson County at 2:30 with Holmes and AC-S facing off at 4:15. Covington Homes represents Region 9 where they reached the regional final last year. Nelson County was a Region 5 semifinalist and Logan County reached the Region 4 semifinals. AC-S was eliminated in the first round of the District 15 tournament. This will be the 10th year for the girls SCBHC and the eighth year for a boys’ counterpart. The Lady Patriots have an overall record of 21-8 in the history of the event while the Patriots are 11-11. Last year, the Lady Patriots finished as tournament runner-up, losing to Upperman (TN) in the finals. The Patriots dropped a 59-50 overtime game to Todd Central before defeating Russellville and Lecanto (FL).